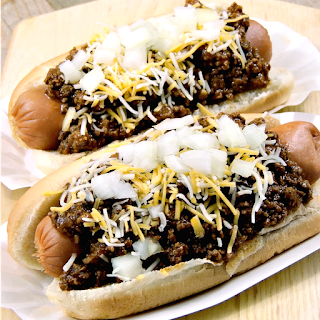 Authentic Coney Island Hot Dog Chili - Get that taste of Coney Island without having to pay for an airline ticket. No more kleenex and Nyquil for me and I am not banished to sofa land with my jammies and fluffy blankie. OK, maybe I am still in my jammies, but that is just because they are so ding dang comfy, and hey, it is the weekend right? Why should I have to get dressed? Now that my head is somewhat clear, my planning has begun for my game day menu. Yes, I know my Seahawks are not in it this year but it is still a big deal for me. Super Bowl is like the Thanksgiving for sports fans! Am I right my football peeps? Of course I am right. I mean think about it. A big group of people get together to drink, argue, and stuff their faces with as much food as possible. To me, tailgating/homegating, Super bowl or otherwise, isn't complete without burgers and dogs. In years past we have noshed on Greek Burgers, Big Pig Burgers, Double Cheesy Taco Burgers, and Mr T Burgers. For the doggy side we have had BLT Hot Dogs, and Reuben Dogs. 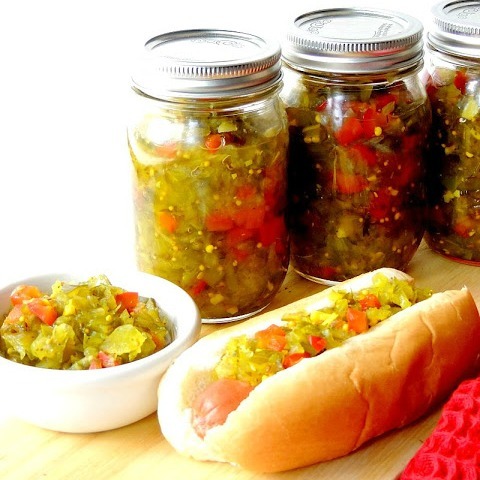 This year we are planning Buffalo Chicken Burgers, and these yummy hot dog with Coney Island Hot Dog Chili. No, I have to admit I have never been to Coney Island, a fact that makes me very sad I have always wanted to go. But that has not stopped my search for the perfect hot dog chili. 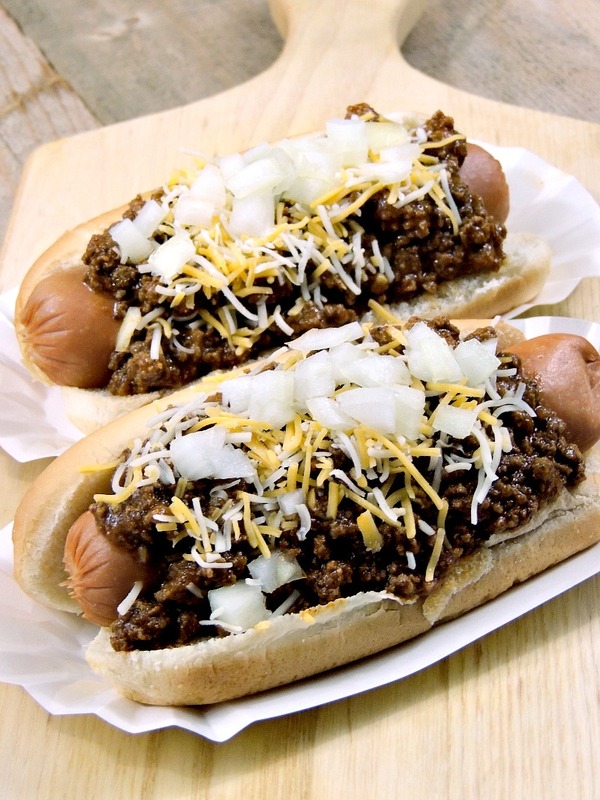 I grew up eating my chili burgers, and dogs, with regular chili. But, as I got older, I realized that beans have no place on a burger or a dog. Gimme some fab BBQ baked beans, or chili on the side, but I just want meat when it comes to my, well errrrr meat! 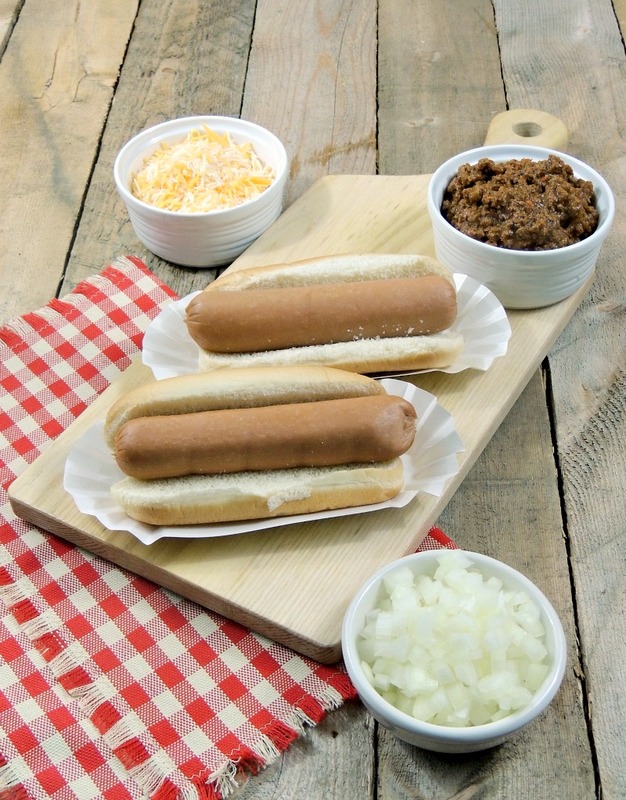 Of course you can't have a chili dog without cheese and onions right? I like to pile 'em on, to the point that I need a python like jaw to get it in my mouth. Who needs ladylike manners when it comes to football? If you want to go real crazy, a good squirt of yellow mustard is pretty yummy too, but on this day I wanted the chili to really shine like a diamond, anyone else hearing Rihanna singing "shine bright like a diamond" in their head right now? 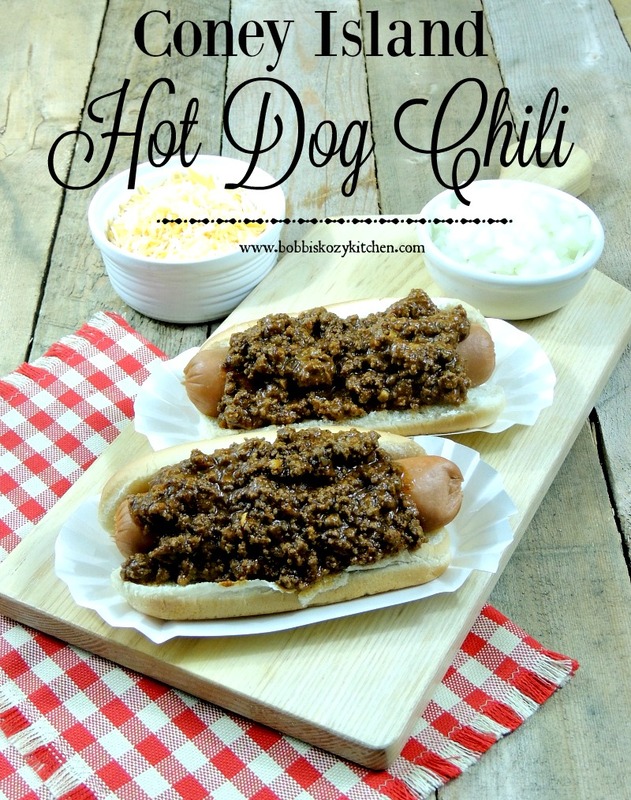 I am pretty sure she was not thinking of chili dogs when she wrote that song, but dammit I am! Anywho, this chili is nice and rich, and thick, with a bit of spice. I made it for a bonfire party we had a couple of weeks back, and I should have made a double batch because it went so fast I didn't get a chance to have a dog of my own! So, if you are still looking for that little sumpin sumpin to add to your game day meal, look no further because you have found it!! Oh, who are you rooting for? I can't believe I am saying it but, GO BRONCOS!! 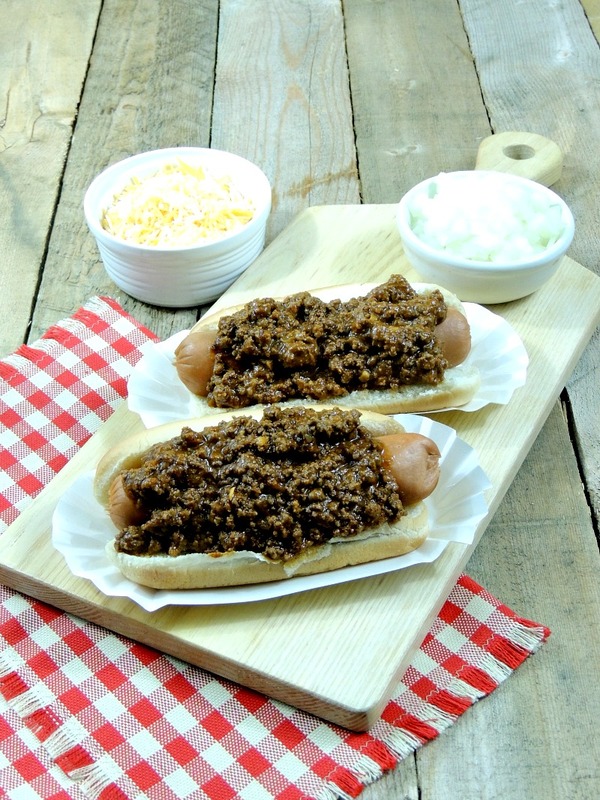 Get that taste of Coney Island without having to pay for an airline ticket! Heat the oil in a Dutch oven over medium-high heat. Add the onion, garlic, and ground beef, stirring until beef crumbles and is no longer pink. Stir in the chili powder, cumin, and tomato paste, and cook for 3 to 5 minutes to allow the tomato paste and spices to bloom. Add the remaining ingredients, bring to a boil, reduce to a simmer, and cook, stirring occasionally, until most of the liquid evaporates, approx 45 minutes. Help support this blog by starting your Amazon shopping here. You may have to turn off your ad blocker. Planning on making one of my recipes? Nothing would make me happier! Take a photo and share it on Instagram or Twitter using the hashtag #BobbisKozyKtchn I would love to see what you made. Yay Team No Beans!! THanks Liz :) this flu is really a killer this year!! I've never been to Coney Island either, but now I know how to make the chili! I'm in! Yay Nikki!! I hope you enjoy it as much as we do! Maybe one day we will make it there?